Greg Fidlon has been practicing exclusively in employment law since 1998. He represents and advises clients in all aspects of the employment relationship, including discrimination claims, employment contracts, employee discipline and termination, restrictive covenants, compliance with disability and medical leave laws, wage and overtime disputes, violation of health and safety regulations, and other alleged statutory, regulatory and common law violations. Greg has handled cases of all sizes, from single-employee disputes to nationwide class actions. 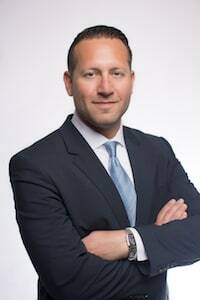 He previously worked at Kaye Scholer LLP, a large national firm based in New York, as well as the Atlanta offices of Dow Lohnes PLLC, and Ashe, Rafuse & Hill, LLP. Greg regularly represents employees and employers in state and federal courts throughout the country in individual and class actions brought under Titles II and VII of the Civil Rights Act of 1964, Section 1981 of the Civil Rights Act of 1866, the Fair Labor Standards Act, the Age Discrimination in Employment Act, the Americans With Disabilities Act, the Family and Medical Leave Act, as well as related state and federal law causes of action. Greg is experienced in all aspects of litigation, including drafting and responding to pleadings, memoranda of law and discovery requests, taking and defending depositions, arguing motions, trials and appeals. Greg also has extensive experience handling arbitrations and mediations and dealing with administrative agencies, including the U.S. Equal Employment Opportunity Commission, the U.S. Department of Labor and the Office of Federal Contract Compliance Programs. In addition to his litigation work, Greg regularly negotiates and drafts corporate policy handbooks, employment contracts, separation agreements and restrictive covenants. He also develops and presents training programs and has spoken and written extensively on labor and employment law topics. Greg has served on the Board of Editors for the Employment Law Strategist newsletter. Greg received his B.S. degree in 1993 from Binghamton University and his J.D. degree in 1998 from the University of Pennsylvania Law School, where he served as a Senior Editor of the University of Pennsylvania Law Review. He is a member of the American Bar Association, the State Bar of Georgia and the Atlanta Bar Association, and is admitted to practice in numerous federal courts throughout the country. Greg is a member of the Board of Directors of Spectrum Technical Institute, a non-profit providing training and career development to “at-risk” youths in the Greater Atlanta area. He is also a licensed C.P.A.